Republic of Ireland vs Austria Lineups: After Serbia in the Group D, the Republic of Ireland takes place the second position in the Standing table. Austria spotted at the fourth place in this group stage. Ireland has won three matches and draws two. But the Austria have won two, lost two and a draw in the last five matches in the first leg. 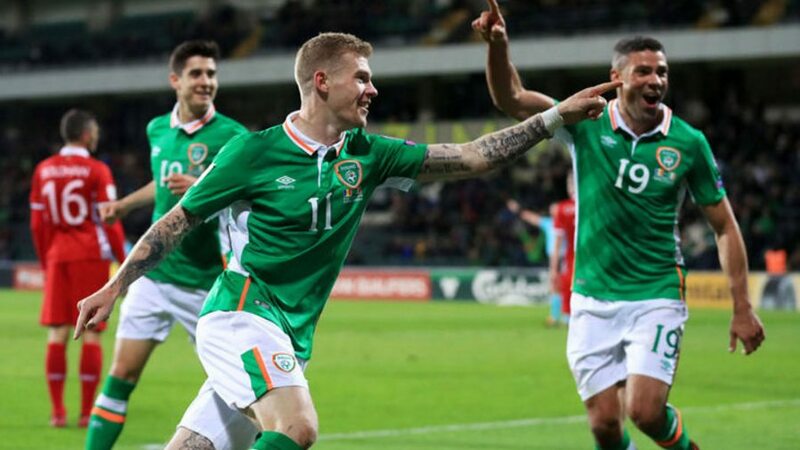 The Republic of Ireland has won two matches in their last five matches in all competitions which had recently. Along with that, the team has lost two matches against Mexico and Iceland in the Friendly matches. Austria has only one winning game in the last five over Moldova in the March WCQ match. Also had two draws over Slovakia and Finland in the International friendly matches. Serbia and the Republic of Ireland have beaten Austria in the World Cup Qualifier – UEFA. Both of the team have played each other as three times, both of them have won each game and one ended as the 2-2 draw in 2013 WCQ match.